Infinite Art Tournament: The Free Box Tapes #2: Miles Davis, "Directions"
The second Free Box Tape was, like the first one, kind of mysterious. Sixty-Four Words: Wow, a Miles Davis album! There’s a piece by Hector Villa-Lobos! How could it not be great? 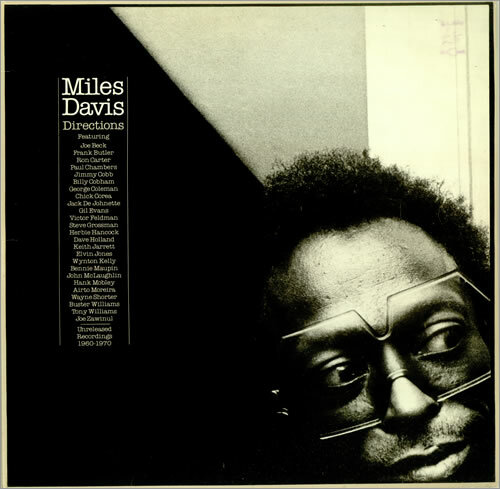 Except, maybe it isn’t AS great as the other Miles Davis records I’ve been listening to for the last year-and-change, nor anywhere as cohesive. Turns out, it’s a collection of archived material from the late 1960s, packaged as an album a decade later. Ah, that explains things. Disposition: Miles is Miles. Will retain.